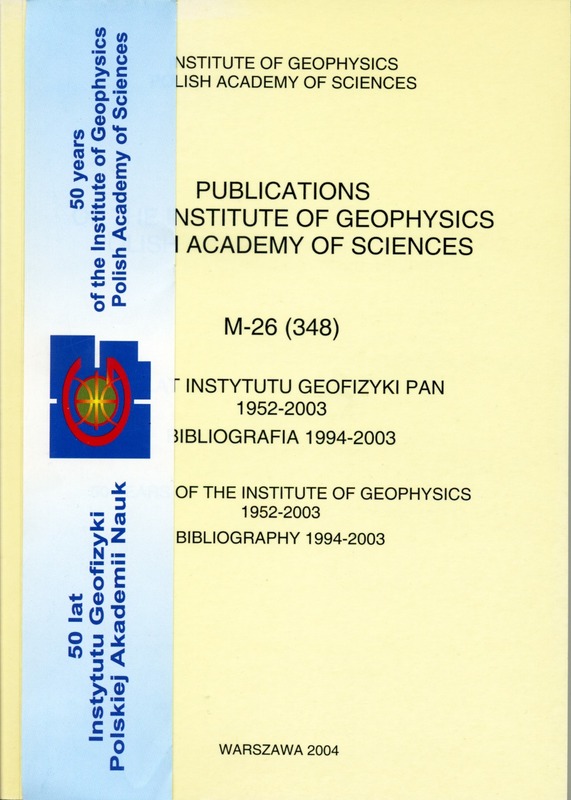 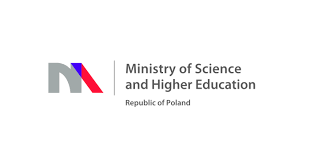 Fifty years of the Institute of Geophysics, Polish Academy of Sciences, its brief history, major events, development and main achievements are outlined decade after decade. 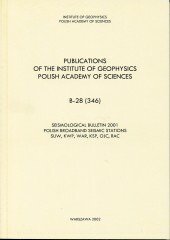 The authors have been associated with the Institute almost from its beginning, Roman Teisseyre was its Director in the years 1970-1972, and Jerzy Jankowski in the years 1972-2004. 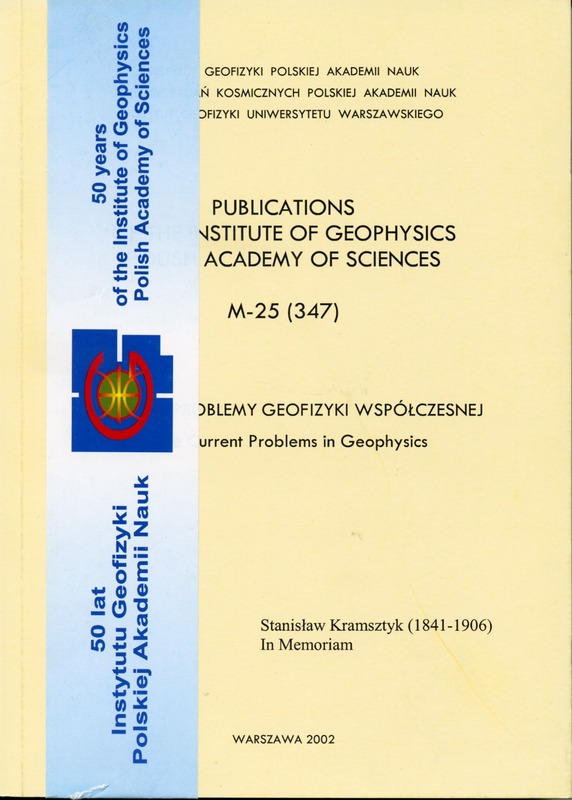 The main idea which inspired us to prepare the present collection of articles on some issues of contemporary geophysics was to pay tribute to Stanisław Kramsztyk and his pioneering activity in popularization of physics and natural sciences in Poland in the XIX century. 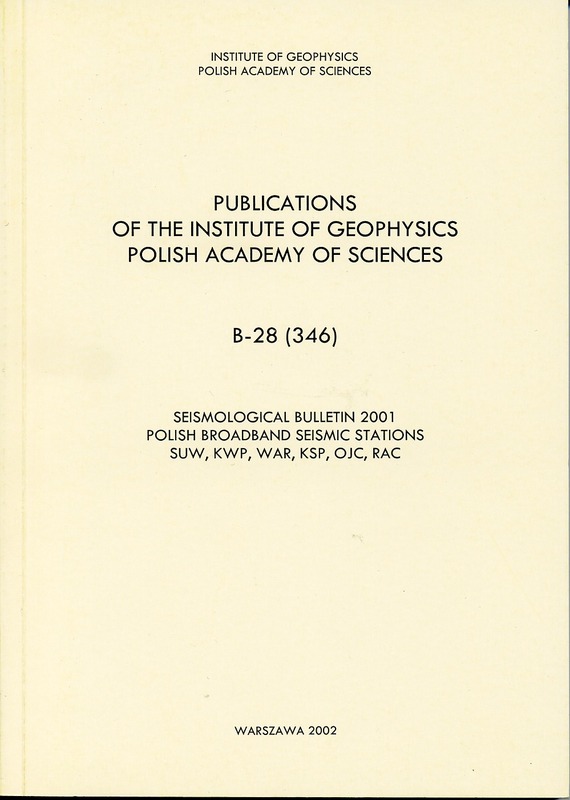 Author(s): Jankowska W., Kowalski P., Wiejacz P.
This is the sixth yearly report of activity of Polish broadband seismic stations. 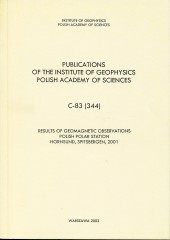 During 2001 the stations had undergone normal activity. 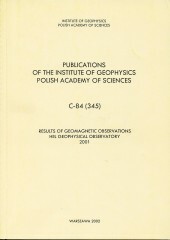 Author(s): Czyszek A., Czyszek J. 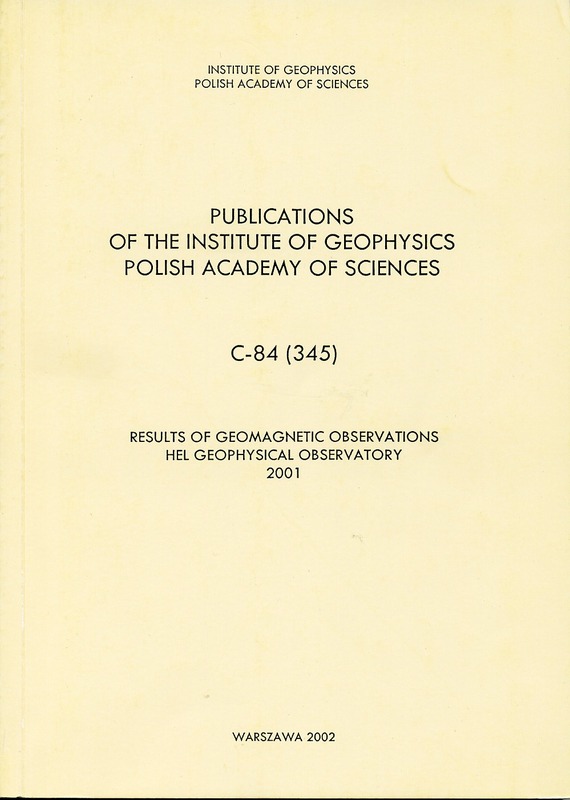 This volume contains the results of observations of the Earth magnetic field for the year 2001, carried out at the Geophysical Observatory at Hel near Gdańsk. 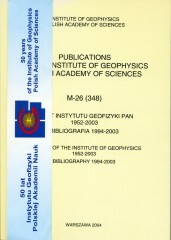 It is a consecutive twenty-fifth report of similar results published since 1966. 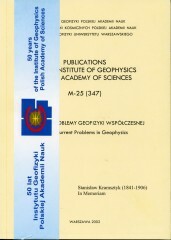 Author(s): Glegolski W., Gnoiński A. 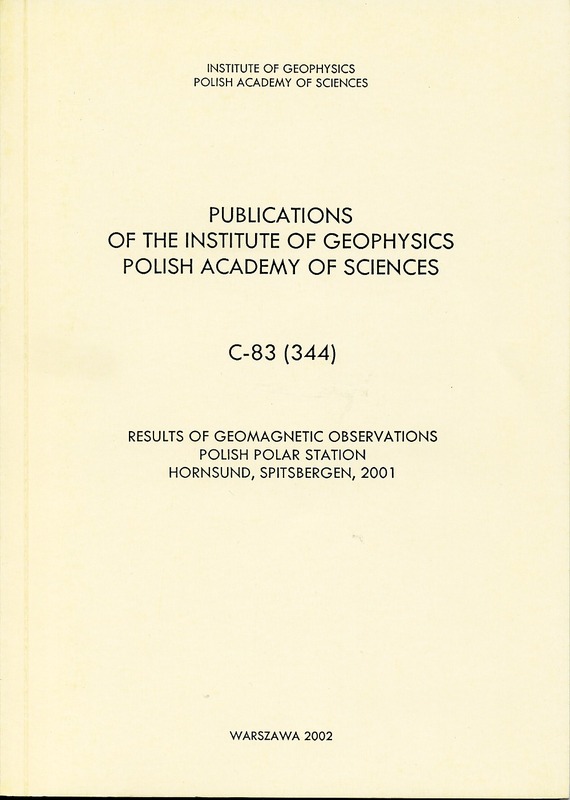 This volume contains the results of observations of the Earth's magnetic field carried out at the Polish Polar Station Hornsund in Spitsbergen in the year 2001.